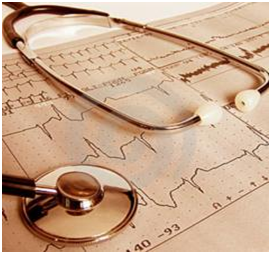 Expatriate medical insurance is a must for people that live or work abroad. It ensures that no matter how basic or expensive your local medical facilities are, you can still expect to receive world-class treatment regardless of your location. When you move abroad, you are rarely given access to free medical treatment from the relevant government and healthcare system, which means that you need to fund your own. The standard of healthcare may be poorer than what you have come to expect from your own country, even if you are given full or partial access to it. Expat health insurance is designed to address all these concerns. Recently, more and more people have chosen to invest in expat insurance to cover them for their return to the UK too. This is because you’re likely to be classed as a non-resident by the NHS once you have been away for a certain period of time. If you have a medical problem once you return to the UK, you may be handed a bill for any treatment. The government has recently brought in a series of strict guidelines around free NHS treatment in a bid to eradicate the problem of ‘health tourism’ – a trend involving non-residents heading to the UK for free medical care. This means that those regarded as former or non-residents may now find it harder than ever to secure free healthcare after a spell away – especially if they are not declaring the UK to be their permanent home. However, some expatriate health insurance ceases to apply when a person re-enters the country, essentially placing them in no-man’s land. For this reason it’s advisable to invest in an international healthcare plan which remains in place no matter where you are in the world – including the UK. Some countries don’t offer a public medical service or an equivalent to the NHS at all. More and more people worldwide are therefore investing in health insurance policies to cover them. Many countries that do have a free or subsidised medical service in place are finding it harder and harder to deliver the service that is needed. Some countries have various health risks attached to them and can be so dangerous to visit that not investing in the relevant insurance is virtually unthinkable. An international private medical insurance can grant you access to a well-facilitated hospital with the standard of care that you will have become accustomed to. Some people take risks by not signing up for international health insurance only to find themselves faced with a costly medical emergency whilst they are away – that they may simply not be able to pay for. This explains why the insurance is so valuable even if the chances of you needing treatment are low. The old adage that ‘it’s better to be safe than sorry’ is particularly true when it comes to international medical insurance, so make sure you talk to a dedicated broker such as expatriatehealthcare.com first before making the move abroad. If you aren’t covered by expat medical insurance but find that you need it, the results could be catastrophic or even fatal.